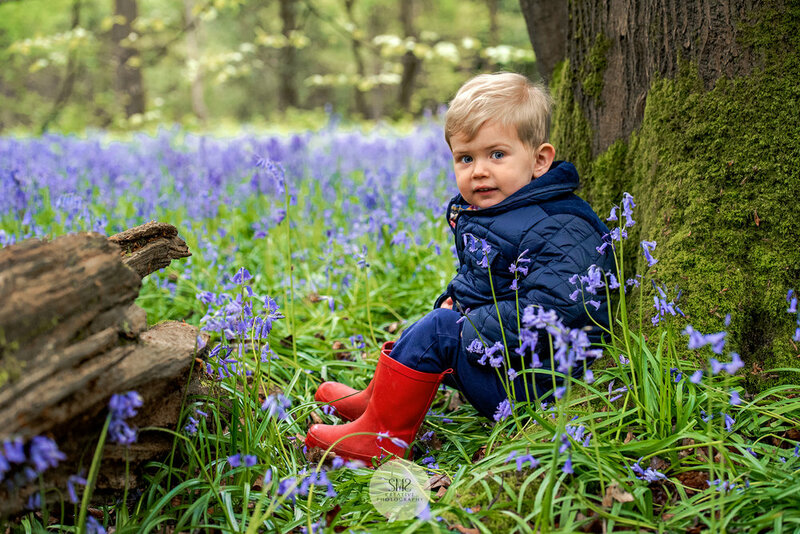 Our Bluebell photo-shoots in April/May time, are very popular and take place in local ancient woodlands and private gardens; where these wonderful wild flowers are in abundance. 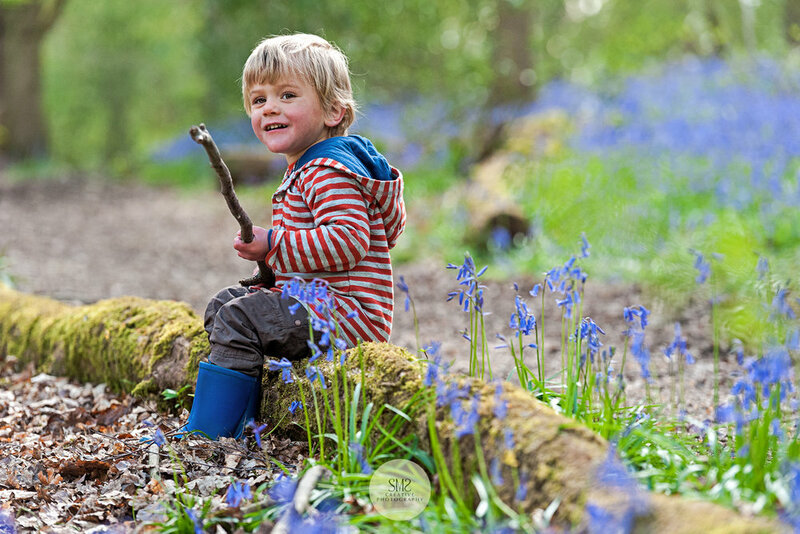 We always tread carefully if we are photographing amongst them so as not to unsettle them and treat them with the respect they deserve - sticking to pathways and exposed fallen tress as much as possible. 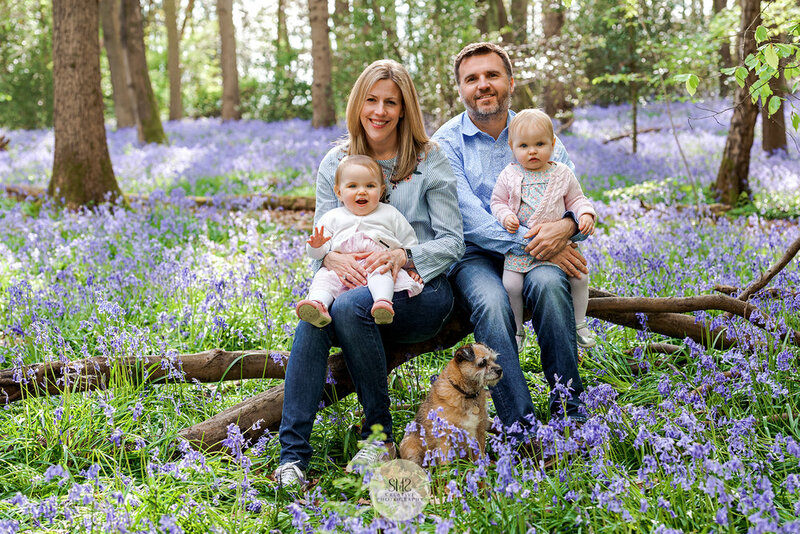 "We booked our first family photo-shoot with Stella and we were so pleased we did. 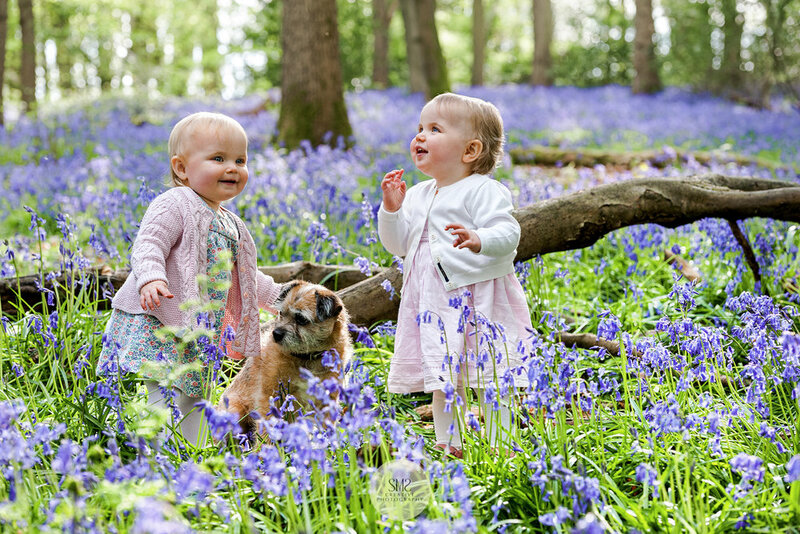 We chose a bluebell photo-shoot and the backdrop was beautiful. Stella was so good at putting us all at ease but particularly our 16 month old daughters. 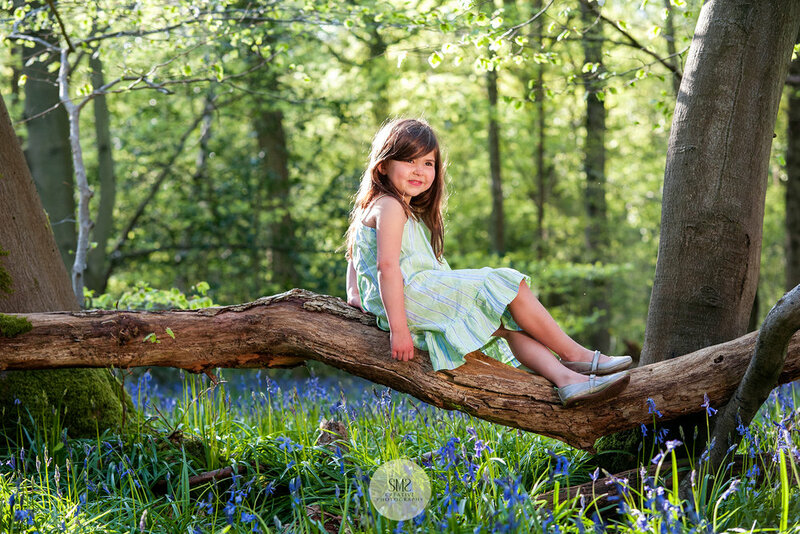 She was able to maintain their attention long enough to capture some fantastic photographs which reflect the girls’ personalities beautifully. The whole process was smooth from start to finish and Stella was able to help advise us on photos to combine and how best to display them. 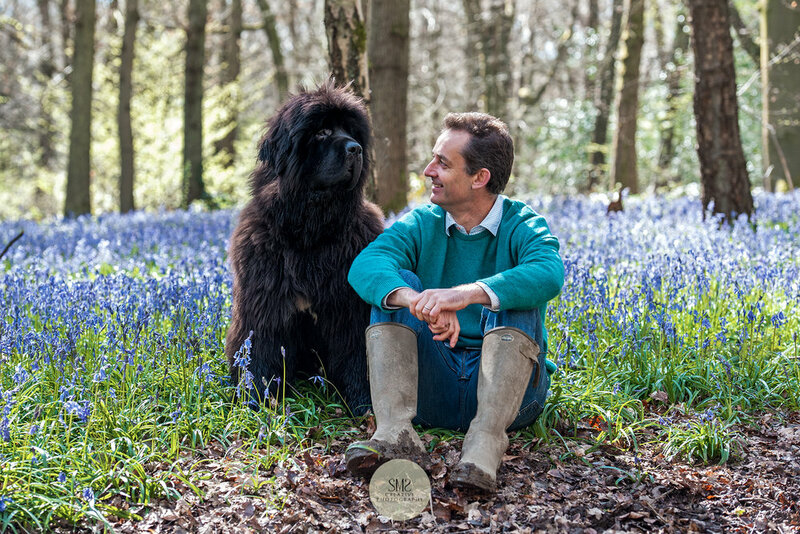 We are so pleased with the photos, they are of great quality and are a lovely memory for us all. 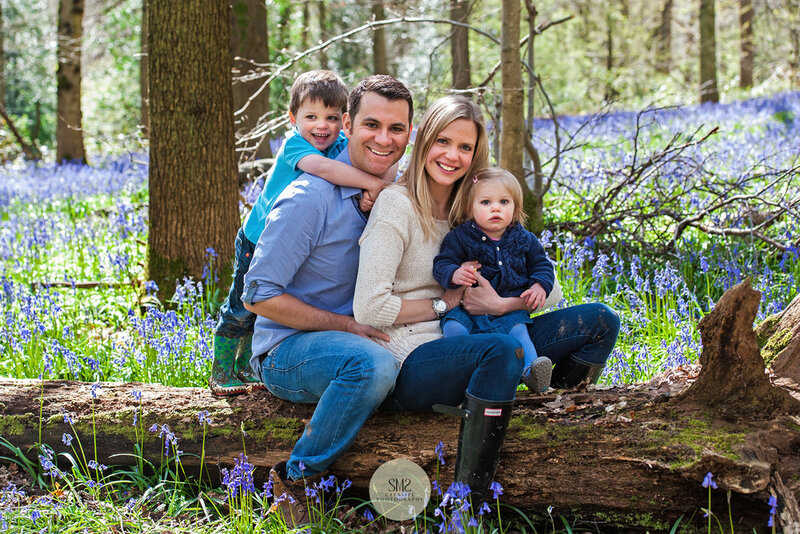 Stella is a very talented photographer as well as a fantastic ambassador for her business, and we would wholeheartedly recommend her to anyone looking to have photos taken."